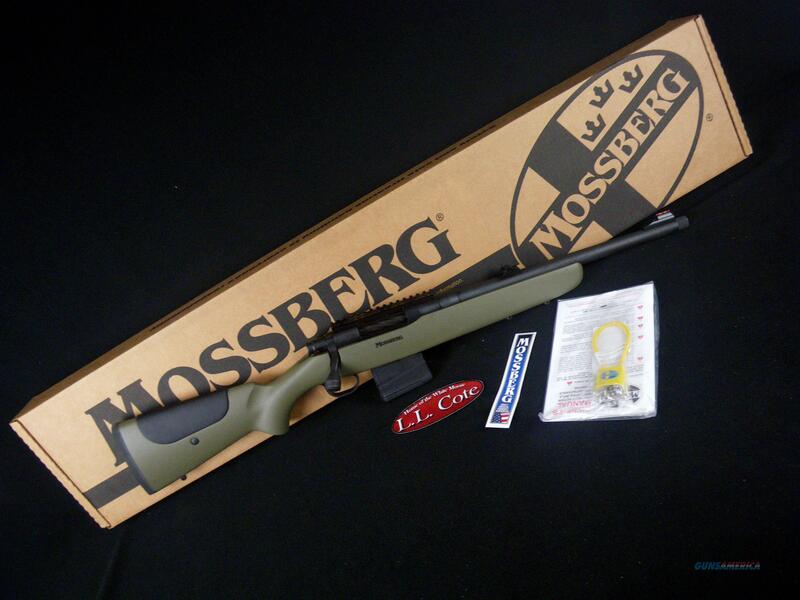 Description: You are bidding on a Mossberg MVP LR-T Long Range Tactical in 7.62 Nato (308Win) with a 16.25" barrel. The Mossberg MVP LR Tactical is a great choice for a patrol rifle, ranch rifle, competition or hunting. This rifle features an 16.5" medium bull barrel that is threaded for your suppressor or other muzzle device. It is equipped with rifle sights and also has a top Picatinny rail for mounting optics. The all weather synthetic stock has an adjustable comb and is equipped with dual forward swivel studs to facilitate use of a bipod and sling. Like all rifles in the MVP series, the MVP LR accepts all M1A/M14 magazines as well as DPMS/LR-308 platform magazines. Displayed images are stock photos. Any questions please feel free to ask (our phone number is in the additional information tab above).